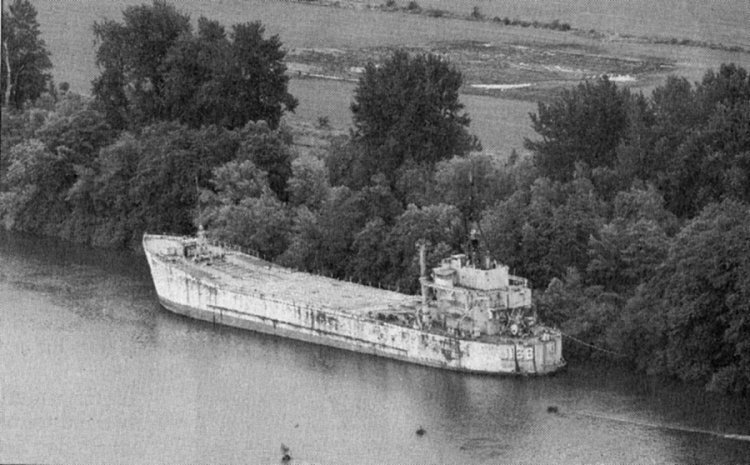 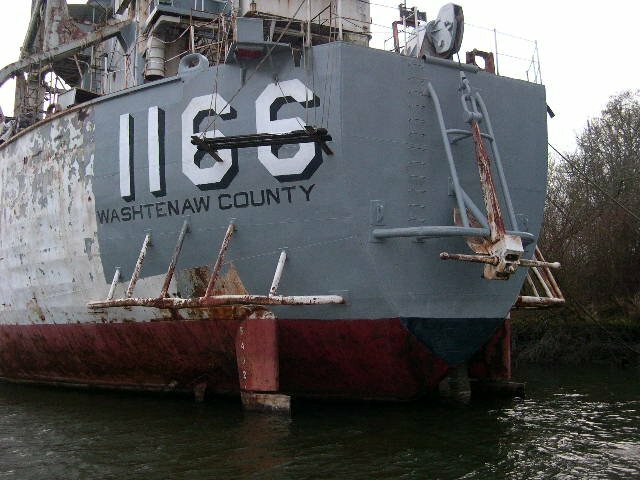 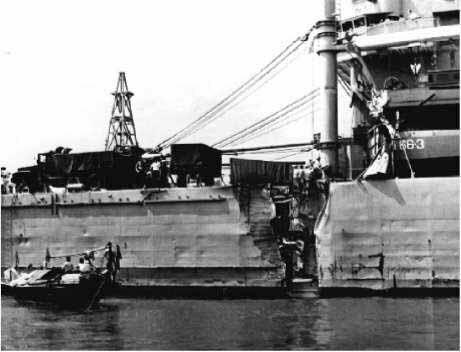 Laid down, 29 November 1951, at Christy Shipbuilding Corp., Sturgeon Bay, WI. 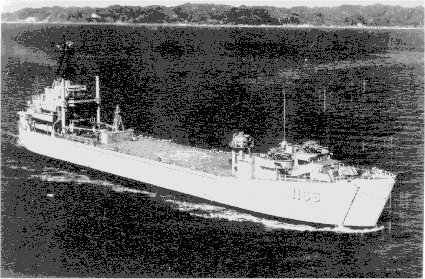 Sold to J.A. 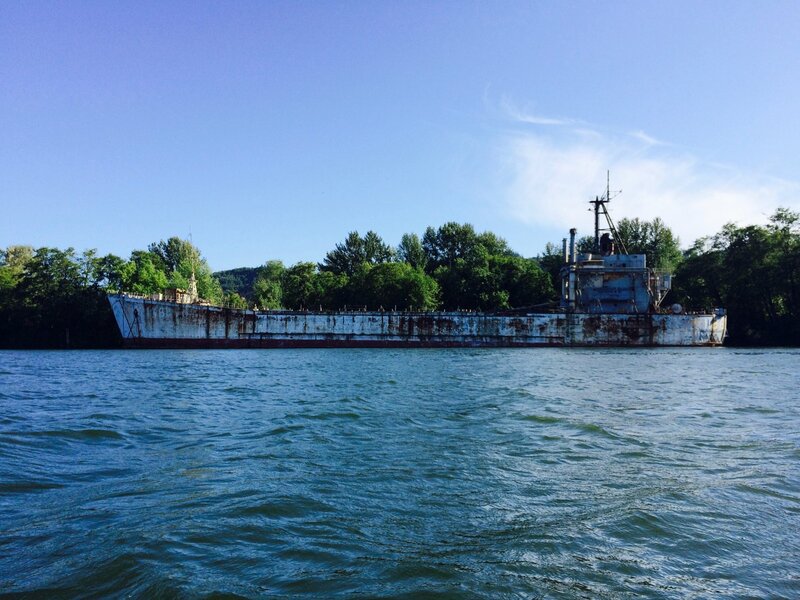 Leites & Associates, Inc., Portland, OR. 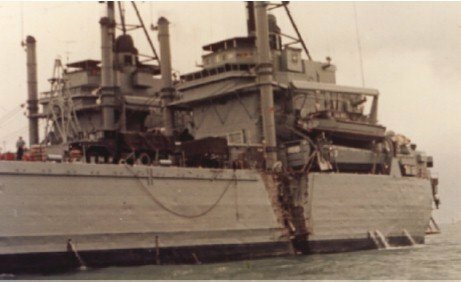 82k USS Washtenaw County (LST-1166) offloading vehicles onto a pontoon causeway, off Chu Lai, South Vietnam, circa May-June 1965. 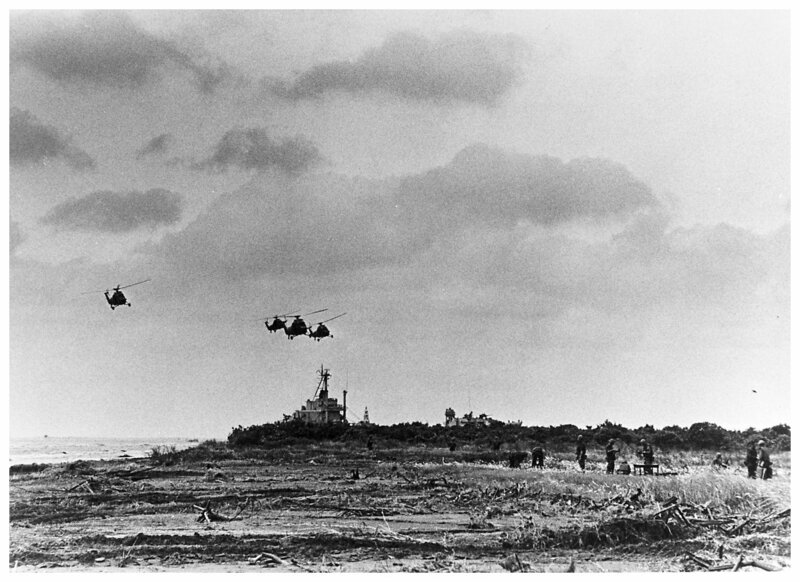 The original print, dated 24 June 1965, featured the following Master Caption: "Marine Corps F-4 Phantoms and A-4 Skyhawks began flying air strikes against North Vietnam June 1 from an 8000 foot long aluminum air strip at Chu Lai, South Vietnam. 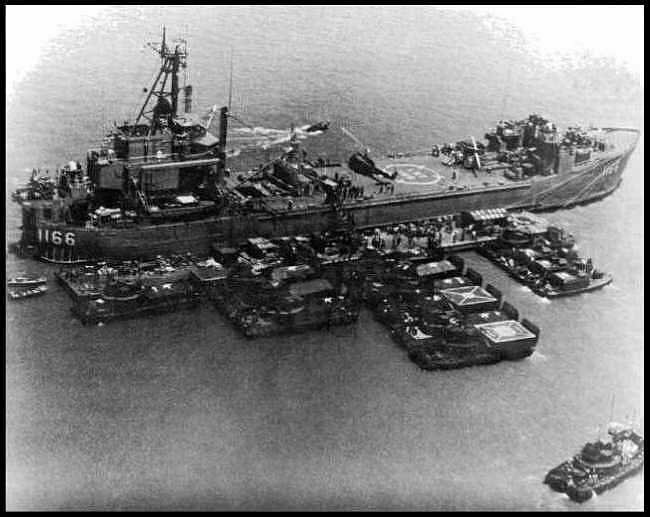 Construction on the new air base, located on Dangquat Bay, about 60 miles south east of Da Nang, began May 8 after some 6000 Marines and Seabees made an amphibious landing from U.S. Navy ships. 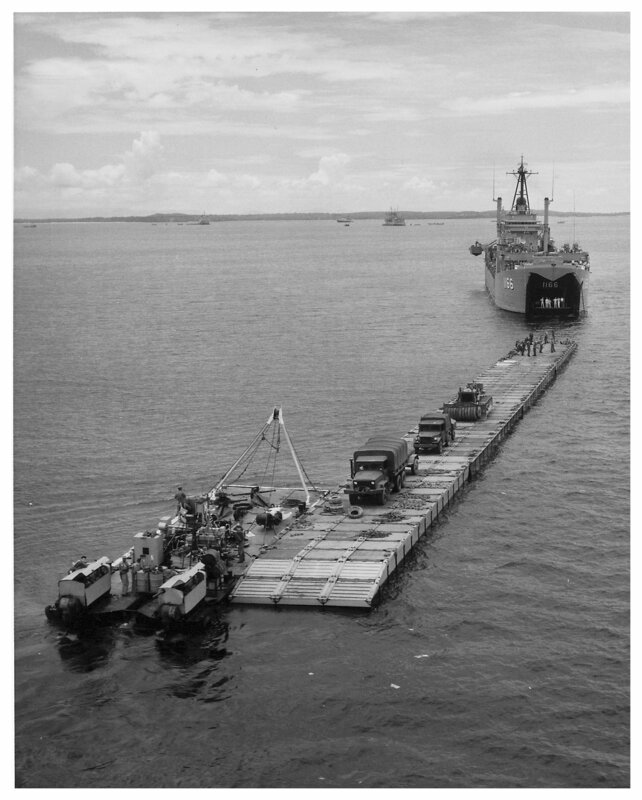 The air field, scheduled to be fully completed the last of June, is being built from inter locking aluminum and steel mats. 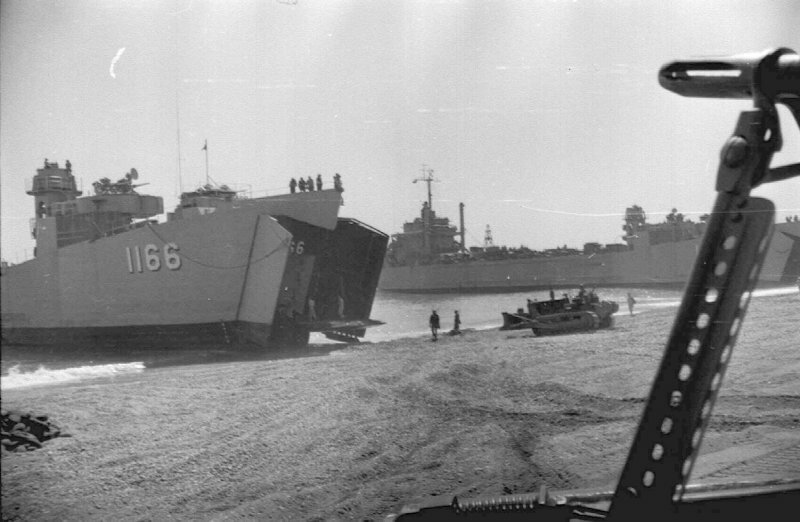 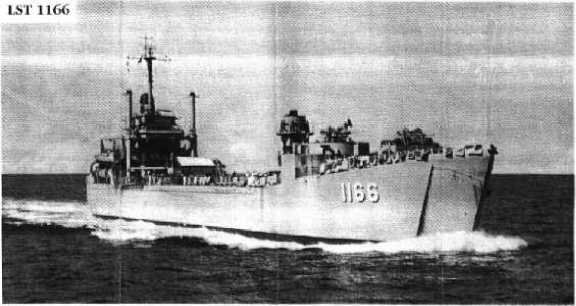 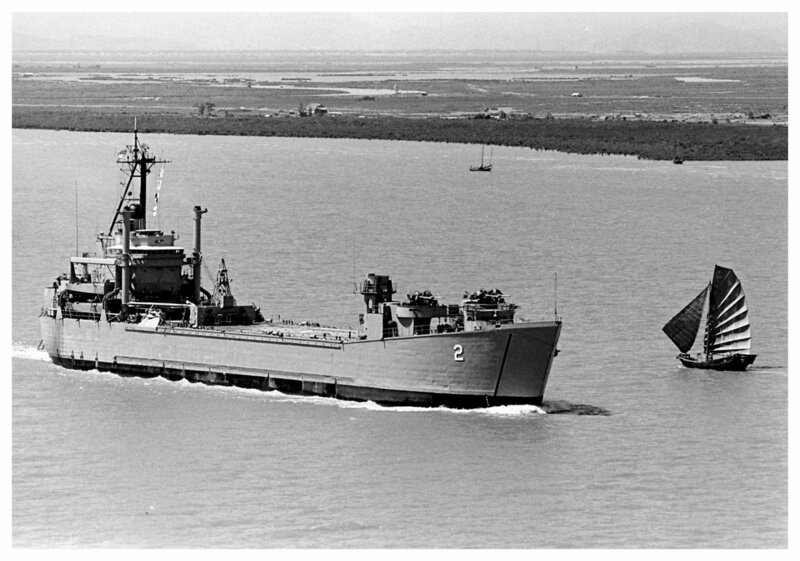 64k USS Washtenaw County (LST-1166) supporting US and South Vietnamese combat troops moving ashore during "Operation Deckhouse V" in the Mekong Delta, circa 6 to 15 January 1967. 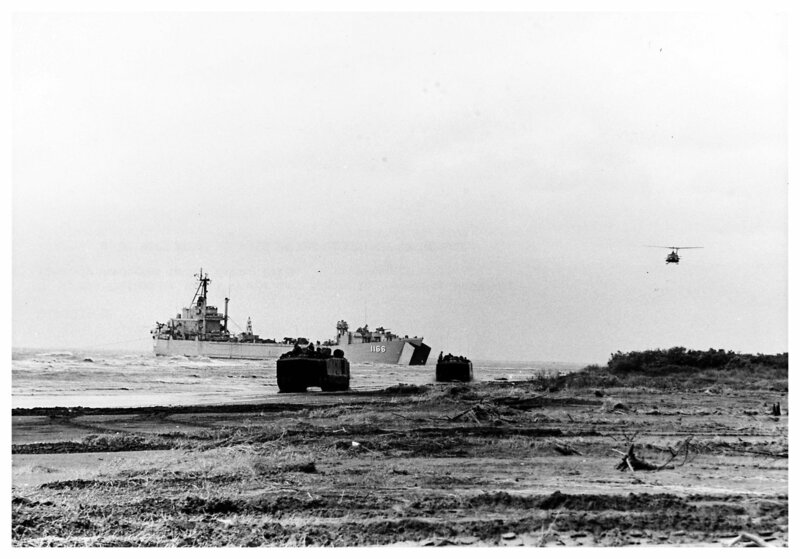 Two US Marine Corps amphibious tractors are moving along the beach in the foreground, with a UH-1 Iroquois helicopter approaching at right. 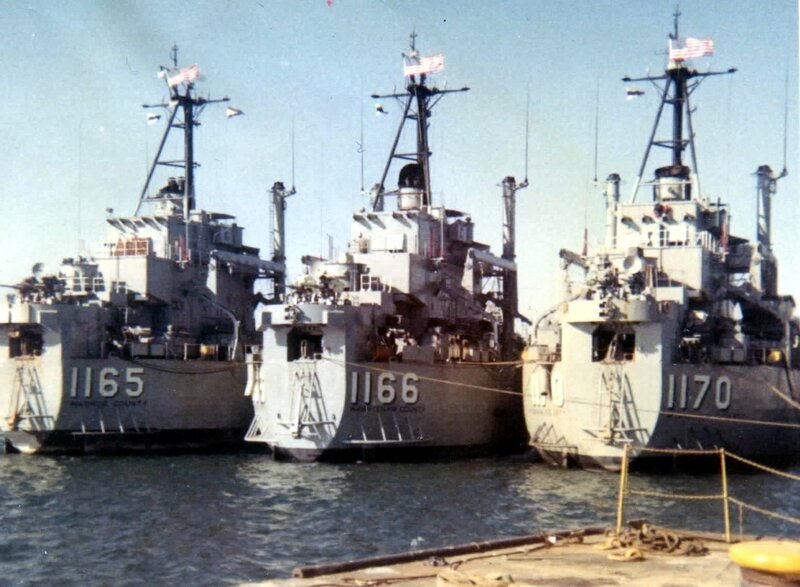 91k USS Washtenaw County (LST-1166) supporting US and South Vietnamese combat operations during "Operation Deckhouse V" in the Mekong Delta, circa 6 to 15 January 1967. 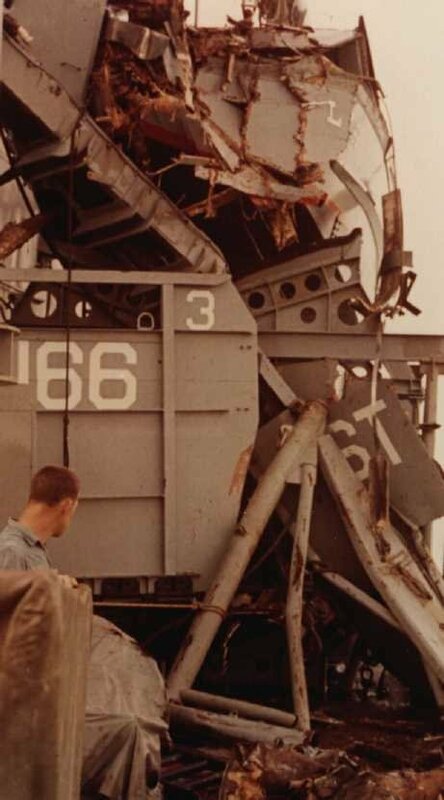 Note the US Marine Corps. 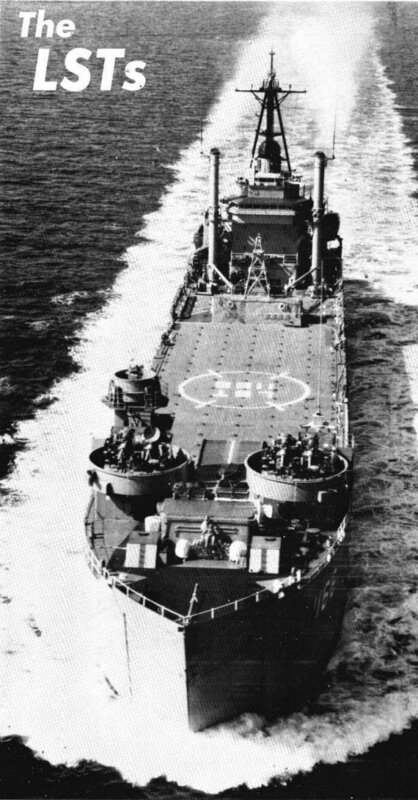 Sikorsky UH-34D Seahorse helicopters from USS Iwo Jima (LPH-2) approaching the beachhead. 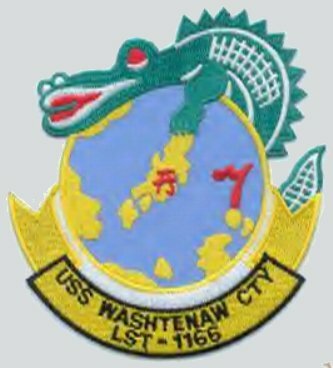 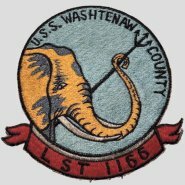 255k USS Washtenaw County (LST-1166) underway, date and location unknown. 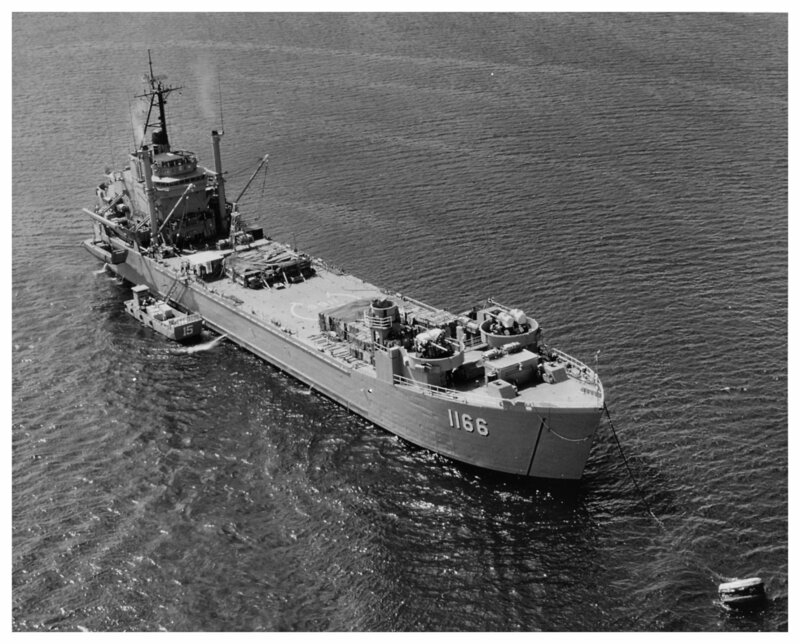 US Navy photo from "All Hands" magazine, March 1968 Joe Radigan MACM USN Ret. 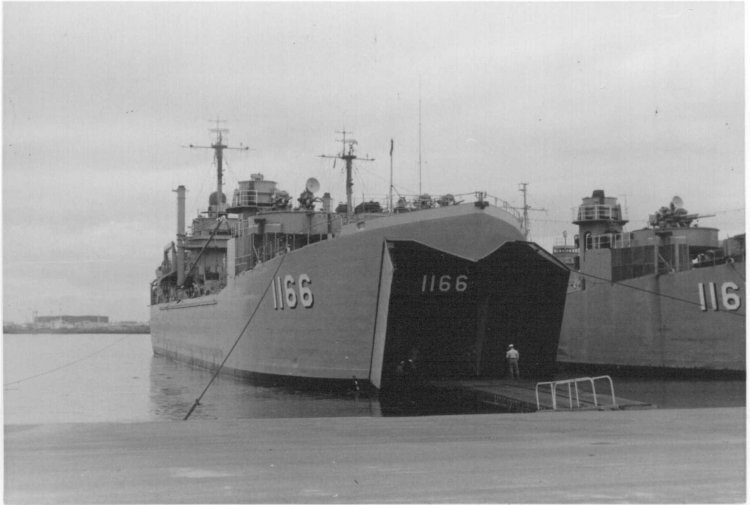 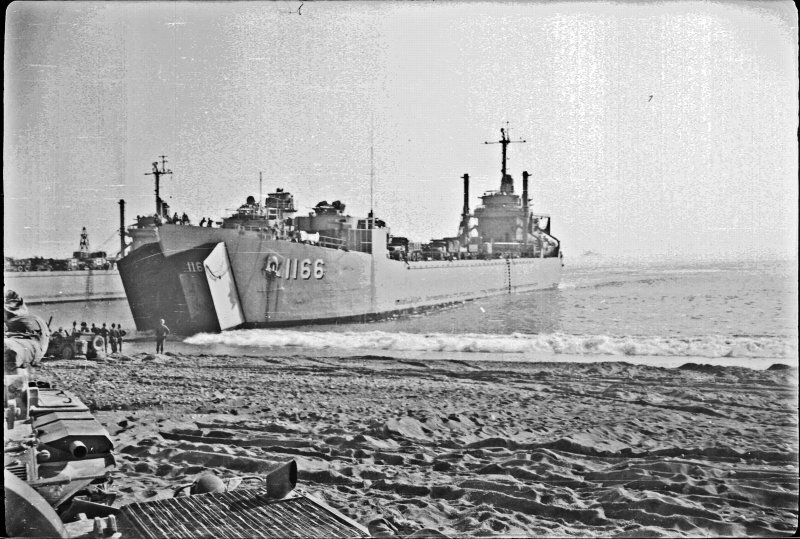 47k USS Washtenaw County (LST-1166) at anchor, date and location unknown. 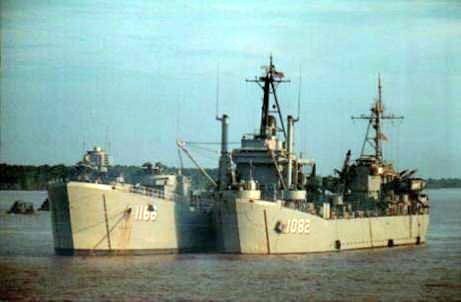 US Navy photo from "All Hands" magazine, October 1968 Joe Radigan MACM USN Ret. 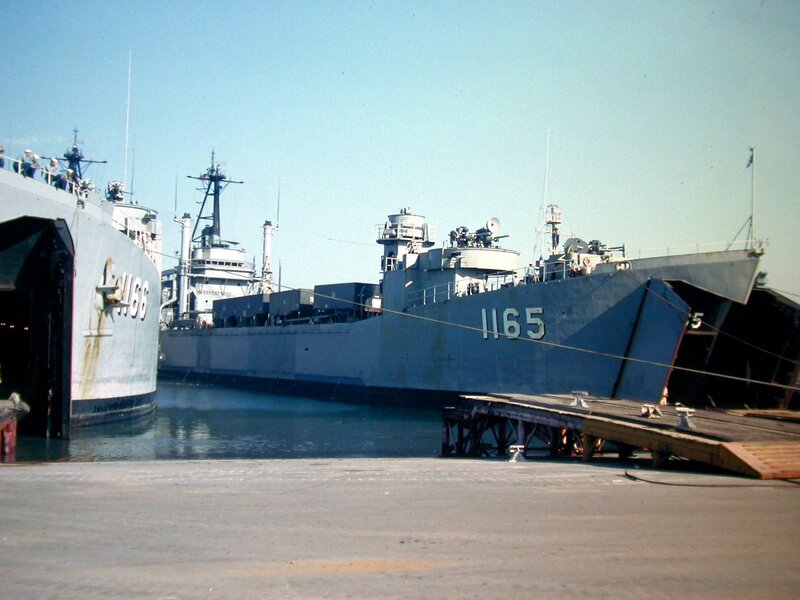 K-78101 165k USS Washtenaw County (LST-1166) moored in Subic Bay, Philippines, 4 October 1969. 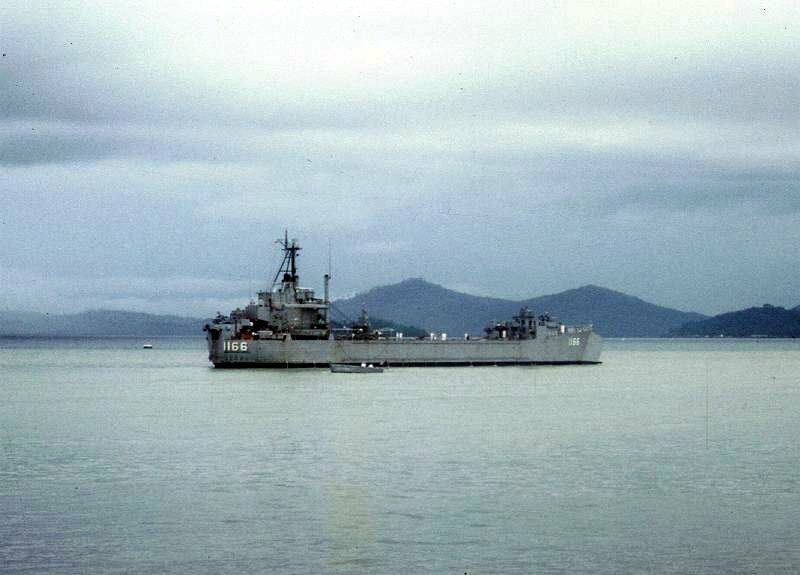 51k USS Washtenaw County (LST-1166) at anchor in South Vietnamese waters, date unknown. 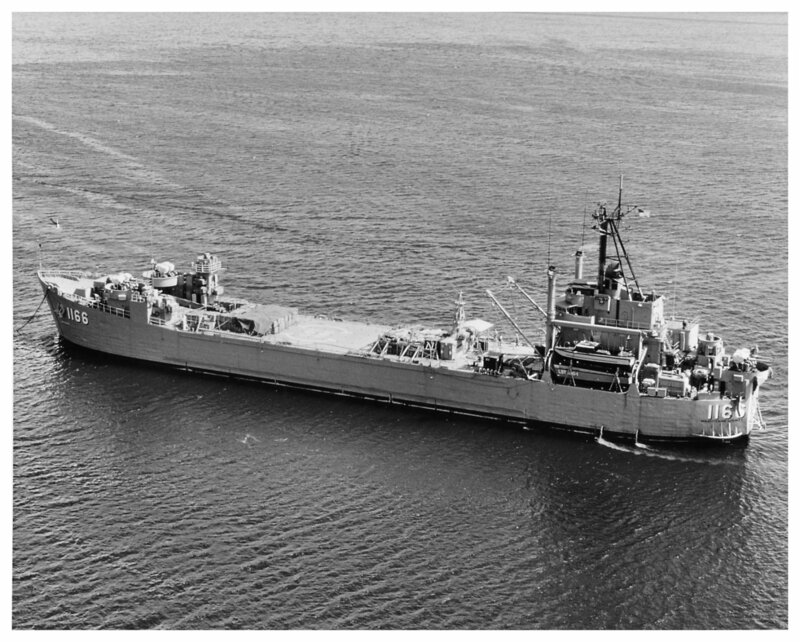 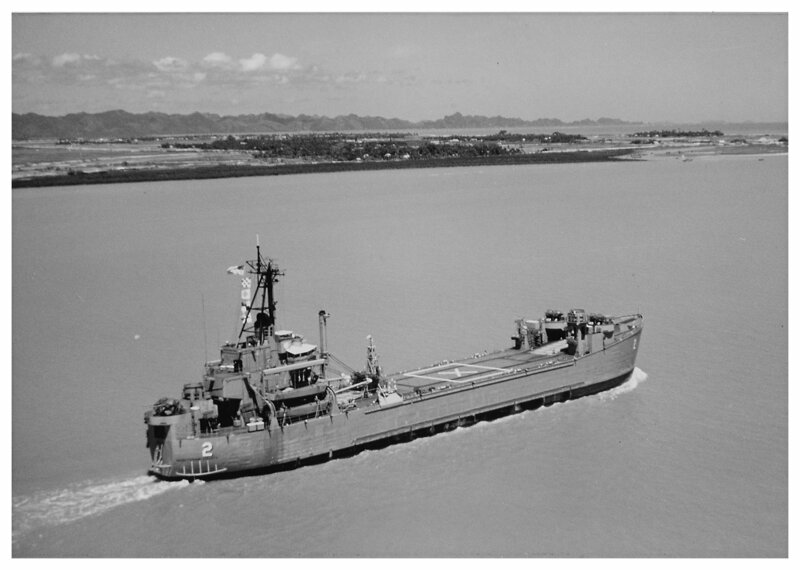 60k USS Washtenaw County (MSS-2) underway in Haiphong harbor, North Vietnam in June 1973. 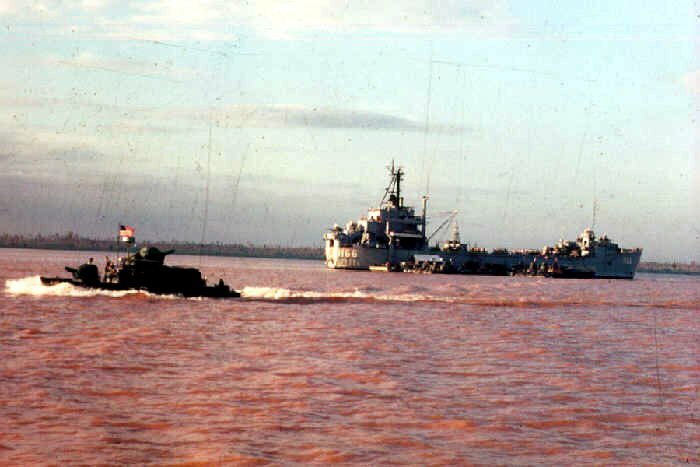 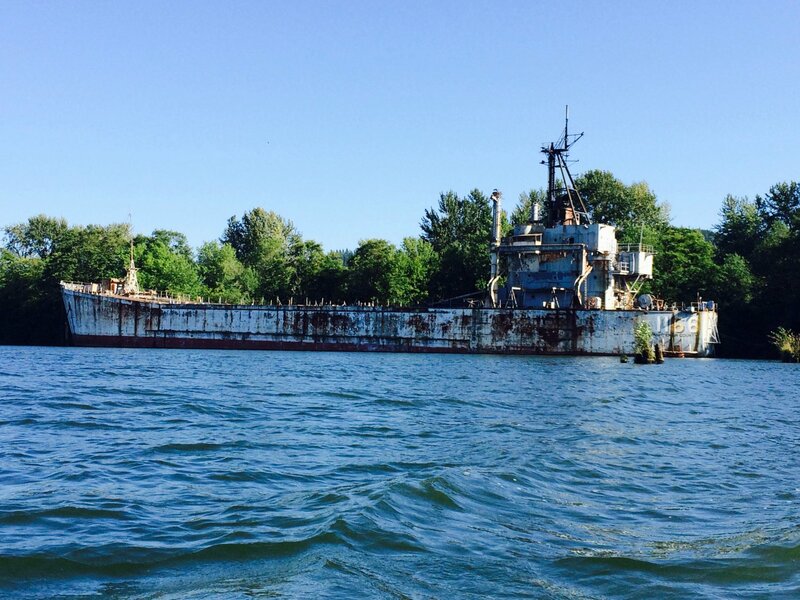 By running the channel to Haiphong Washtenaw County verified that all US mines in the shipping channel to Haiphong had been cleared.